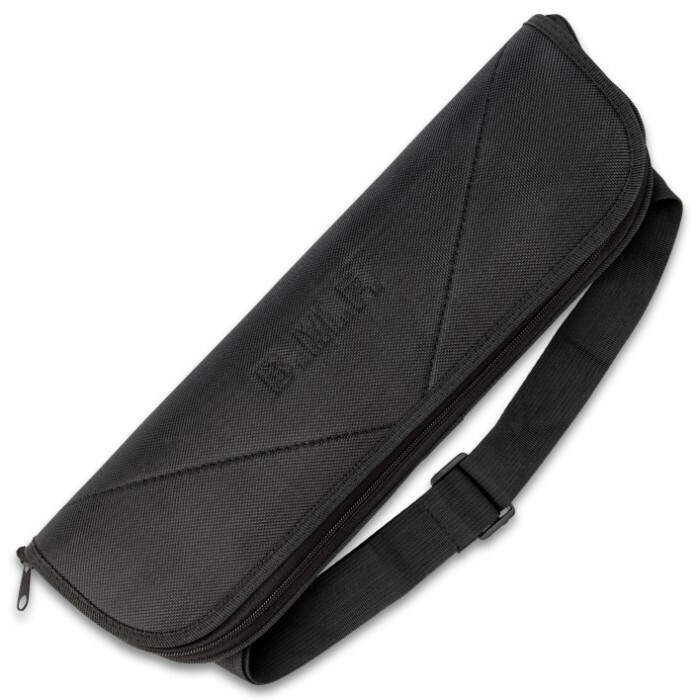 B.M.F.™ Tri-Edged Heavy Spear With Zippered Case - Titanium Finish - Breaks Down For Storage - 45 1/2" Length | BUDK.com - Knives & Swords At The Lowest Prices! 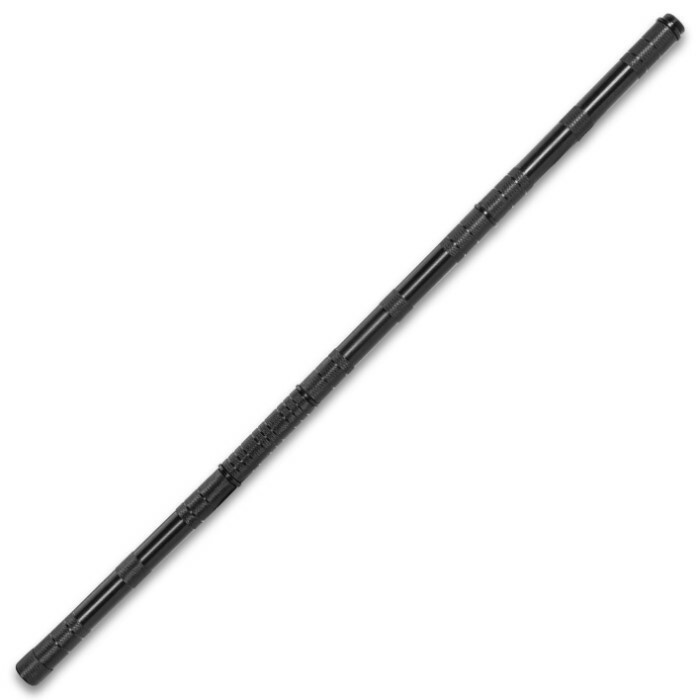 The B.M.F.™ Tri-Edged Heavy Spear is a straight-up, no-nonsense piece of equipment. 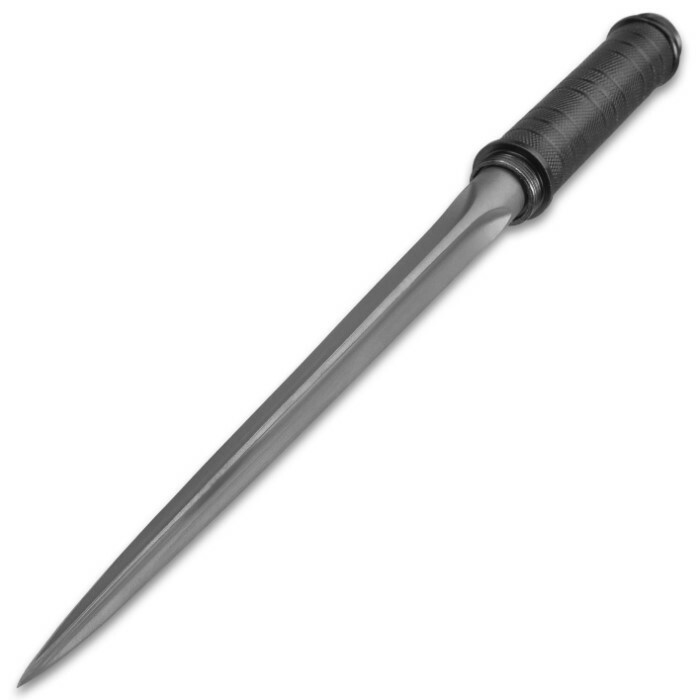 The 10" blade is cast 2Cr13 stainless steel with a gray titanium finish. 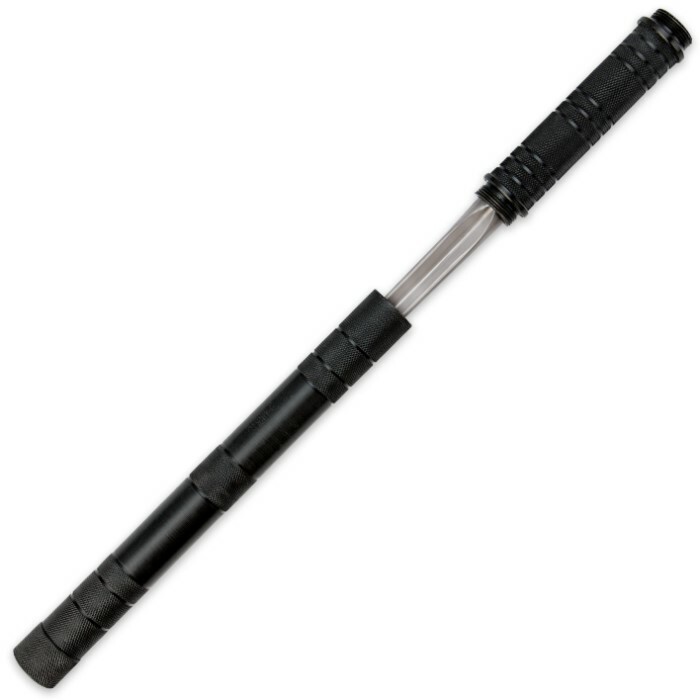 The tube is impact resistant steel with a black oxide finish. 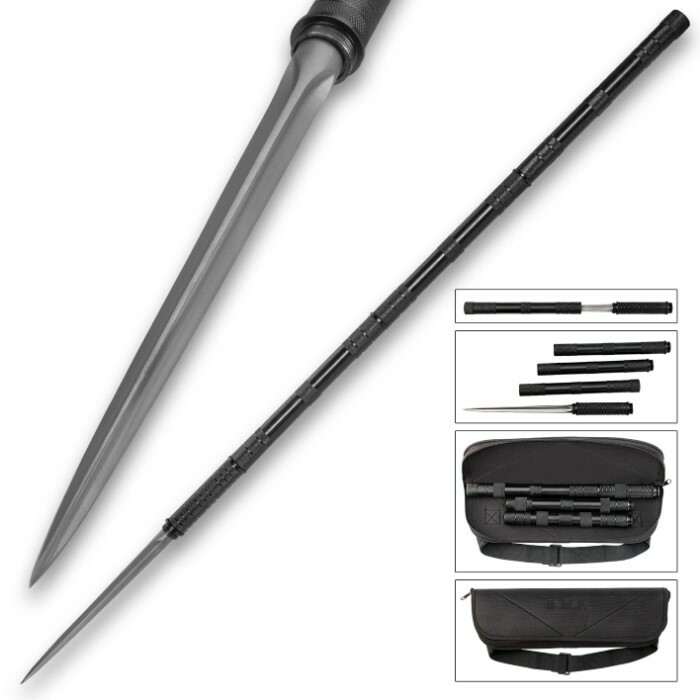 This convenient, versatile spear breaks down into four pieces and stores in an easy-to-carry nylon bag. 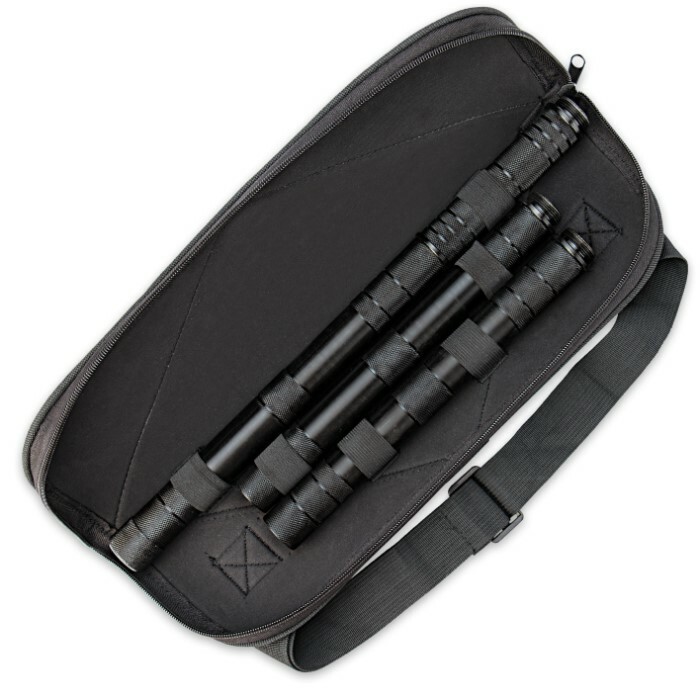 You can take it with you anywhere you need it!